Today I proudly present a rather inspirational memoir. I hope it will uplift your Monday morning! 1.	felt as if you never really got over your childhood? 3.	wondered if you would have made the same choices if you then what you know now? 4.	had trouble establishing and maintaining healthy relationships, either with yourself or with other people? Probably both? 6.	been curious about how people who aren’t fictional face their fears? 7.	wished you fretted less and laughed more when life throws you a curve ball? Lorna is like everyone you’ve ever known. She is also like no one you’ll ever meet again. She’s just an ordinary person trying to make the best of the predicament du jour. What makes her different? The answers are revealed in this, her first, book. Here’s a hint: Lorna finds herself in more knotty predicaments than a novice knitter, yet she tells her often grim life story with a grin. “How Was I Supposed to Know?” by Lorna Lee was recommended to me by a friend and as always, she did not disappoint me. This memoir is in parts sad and melancholic but it is also hugely inspirational and cathartic. The author grew up to please people and to achieve rather than making problems, which leads her to having problems in her relationships and with alcohol. Hit by actual lightning twice and by proverbial lightning all through her life Lorna Lee has to brave many storms before learning the lessons life has to teach her. I found the book beautifully written; emotional enough to make me feel her pain but also very witty, analytical and insightful, which makes it distinguishable from the rest. The narrative flows easily and each chapter is introduced with a appropriate picture, often with a great sense of irony. The honesty and the ability to rationalise and summarise her feelings and those of the people around her make this a very rich and educational read. Hello Lorna. Your book really impressed me and I wondered, have you written anything before? Christoph, thank you so much for inviting me to your wonderful blog for this interview. I am so pleased that you enjoyed my memoir. This was my first attempt at a book-length manuscript. As a Ph.D. Sociologist, I published several research papers, and I dabbled in writing short unpublished stories about my life for my blog. But this book is my first attempt at publishing anything resembling a creative writing effort. How comfortable do you feel writing about quite personal subjects as the ones described in the book? I did reveal a great deal about myself, didn’t I? My sisters wondered if I was crazy! But I was brutally honest about my life for a very specific reason. Without being “preachy” I wanted to communicate to readers that ordinary people (like me) often face extraordinary challenges in life, but those challenges do not have to beat them down or define them. Also, I often felt that I must be the only person who felt certain ways that people rarely dare articulate while going through these challenges. I wanted readers to know that if they felt these ways, too, they were not alone. With these wholesome objectives in my heart, I wasn’t afraid to be honest about my personal life. When did you first have the idea for this book? You had already worked through your problems by then and had come out on top. When did you decide to revisit the past and tell others about it? I started writing humorous stories about young and bumbling Lorna as a way to cope with the mysterious and frightening neurological and physical changes that hit me suddenly in 2001. I wanted to remember a time when life felt normal. Plus I needed to laugh. As the stories started to pile up (I goofed up a lot as a child) I wondered what I should do with them. Slowly the idea for a memoir began to form. I started reading more memoirs and books about writing memoirs. But mostly I kept formulating different ideas about how to turn my individual stories into something whole and complete. That took a lot of thinking and a lot of time since I didn’t have a unifying theme around which to focus a whole book. It was like having a great character but no plot for a novel. Are you concerned that people in the book may object to being talked about? One of the issues that stalled my progress on the book was my concern about getting people upset. As you know from reading my book, I am a peacemaker, not a rabble-rouser! I read everything I could about ethical and legal issues around writing memoirs and followed the advice of those who were the experts. I published under a pseudonym (my first and middle name) and used pseudonyms for most of the characters in my book to preserve anonymity. If I used real names, I used only first names and got permission to do so. I also let each person whose real name I used read a copy of the book before I published it and gave them the opportunity to change anything they wished as it related to them. The person whose opinion I can never control (and never could) is that of my ex-husband. I was careful to protect his anonymity by eliminating references to his specific line of work and other identifying features. Since I did not want this book to cast anyone as a villain, I was careful to be true to my feelings, yet consider what he might have been feeling as well. That was all I could do. In the end, a memoir is, by its very nature, a biased account of the author’s best recollection of events and her feelings about them that she chooses to reveal at the time she writes the book. It is not meant to be a historically precise objective reporting of events. And if my ex-husband objects to what I’ve written, he is free to write his own memoir! How do you feel about your father and his misfortune? I am finally at peace with my father. He was a troubled man. I feel that if he had lived and been around to raise us, my life would have turned out very differently…much more tragically. In sacrificing himself, he saved us. He was flawed, like all of us, but he was courageous enough to put his little family first for at least one moment in mid-march, 1962. For that, I am grateful. I can’t say that I love him in the way most daughters love their fathers, but I admire his sacrifice. Who do you think would most enjoy reading your book and who would take the most from it? Anyone—male or female, young or old—who has very faced a difficult life situation, who knows anyone who is struggling with feeling victimized, or who enjoys a good human interest story with plenty of laugh-out-loud moments would enjoy reading this book. The readers who would take the most from this book are those who feel in their heart that life can’t be as bad as it sometimes feels. There are people who want to be optimists but just can’t quite get there. Maybe my story will help them get there. Also, there are people who are aching to tell their stories about are afraid to do so. If I had the courage to share my most intimate secrets with the world, they can, too. I admire authors that can take me out of my world and into theirs with their words. Ann Patchett and Laura Hillenbrand are two of my favourite authors. I read their books and marvel at the way they construct their sentences and make words bend to their will. 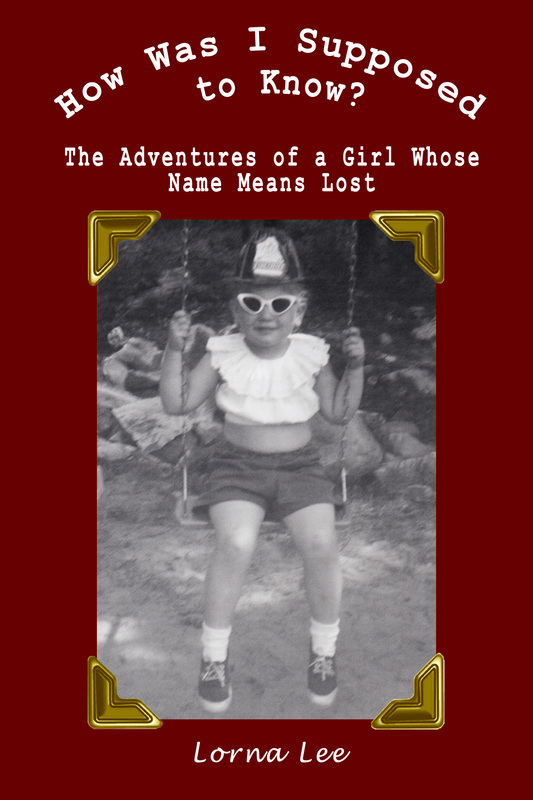 The quirky memoir that inspired me to write my quirky memoir was “A Girl Named Zippy” by Havel Kimmel. The other influence that I must mention is Buddhism. I would not have survived my various maladies, divorce, and all the changes in my life without the Loving Kindness and Mindfulness that Buddhism invites me to practice. That’s a tricky question. I started writing the stories eleven years ago. When I retired nearly seven years ago, I started putting the stories together in a variety of ways as many false starts on a book. It was an exercise in distracting me from my retirement. Three years ago I started a blog because I book I was reading about how to get my writing read and published emphasized the importance of social media. I was too frightened of Facebook and still don’t understand Twitter, so I tried blogging (even though I knew nothing about it). I pilot-tested my stories and wrote the skeleton of my book on my blog for about three months. Then I took about three months to pull the first draft of the manuscript together. It took another year to have 6 beta readers and a professional editor refine it. Then I edited it some more. So it took me 11 years, 7 years, 3 years, or about a year and a half to write this book. Do you see why Twitter would never work for me? I can’t write anything in 140 characters or less! Was the experience painful, cathartic or just enjoyable? Some of the pictures and the comments were quite ironic and I wondered what you felt when writing this? The acute pain is in the past. I went through a lot of counselling to get it to stay there! The experience of writing was primarily enjoyable because I was able to find humour in what once seems so dire. Sometimes while writing I would get stressed over “losing words” (due to my illness) and that wasn’t pleasant, but I had fun writing with book. I still chuckle at some of the stories. I made some pretty bad decisions, but they make great stories. Although, I must admit, I cry every time I read the parts where my pets die and I leave the “Broken House” and I’m looking at my son’s room for the last time. What do you think distinguishes you from other memoirs / inspirational writers? How did you avoid becoming a victim and turn your life round? Well, I don’t think anyone else has been struck by lightning twice. Seriously, though, I think that what distinguishes my memoir from the many other memoirs I’ve read is the humour I lend to some pretty sticky subjects and the fact that there is a mystery imbedded in my story. As you read along, you are probably wondering, why is she making all these obvious wrong choices? She’s a smart girl. It’s not until the end that the mystery about what explains the way I was (am) is revealed. I really tried to write this memoir like a novel. As far as the inspirational aspect goes, I went out of my way not to lecture the reader about having a positive attitude or not becoming a victim. I tried to show the reader how I did it by trial and error because I really didn’t know what I was doing at the time. Basically, I kept thinking, “I have to pick myself up and get on with life because no one is going to want to hang around a sad sack all the time!” It wasn’t easy, but it was true. There again, Buddhism helped me. But I suppose any faith system would do that for a person. I write on my lap top in complete silence. I can’t have any distractions (even music). My brain is already preoccupied trying to keep my dizziness at bay, so writing is the “other” task I’m doing. Anything else would put my brain into overload. Countless. I edit my work to death. I write a sentence and edit it. Among my worst qualities is that I’m a perfectionist. I’m trying to get over it, but I can’t find the perfect way to do it! As I said, I had 6 beta readers, three of whom are wonderful grammarians. Then I hired an editor I found from the website Editors and Preditors. I spent a hefty sum on her services. Of course, I reviewed my manuscript about 20 more times. If I had the resources, I should have hired another copy editor to ferret out more typos, but I’m not a wealthy woman. Next time I’ll write a shorter book so I can have more money for the editing process—or try to find a publisher to do this for me. Being a perfectionist and knowing that there are mistakes in my book drives me crazy. I haven’t quite mastered the Buddhist principle of forgiveness and letting go. I’m starting a novel loosely based on my mother’s and grandmother’s life. It’s a fascinating story that involves a very independent a proud Finnish woman leaving her family and homeland to go to Paris where she gets stuck as the Nazis are making their move. She gets pregnant by a Jewish merchant but refuses to marry him, afraid of the anti-Semitism brewing in Paris. Her little half-Jewish girl is shuttled from foster home to foster home until she finally ends up in a Catholic convent until Paris is liberated. The woman meets an American GI from rural New York, but not New York City. The difference is lost to her. She thinks she found her ticket to NYC and the Land of Opportunity. They all move to America and end up living in a dirt floor shack. There’s more to the story, but all of that I just shared is true. 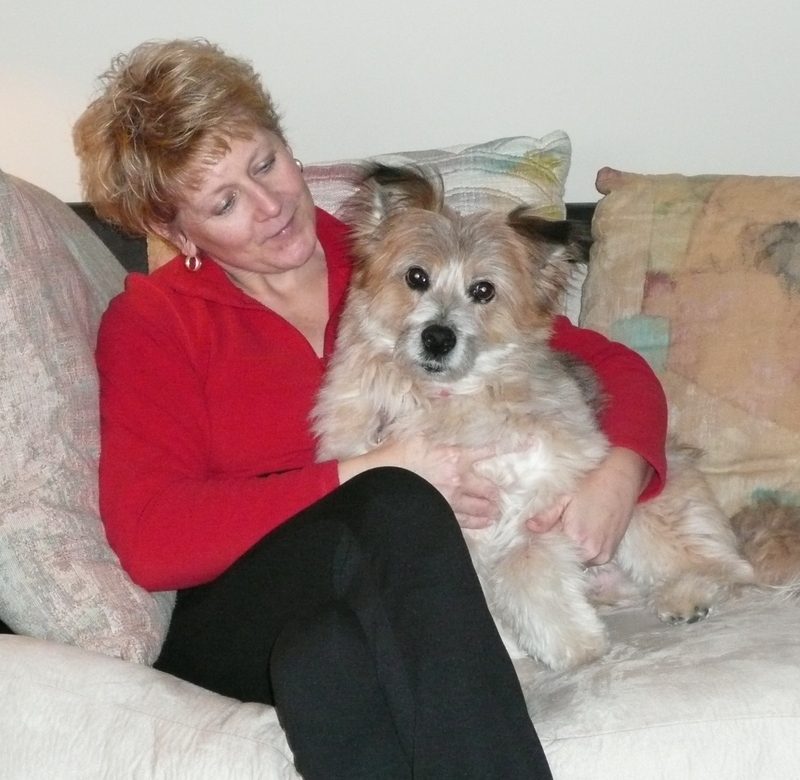 I’ll be posting updates on my blog, lorna’s voice. Golly, Christoph, I think you have about covered it. I do want readers to know that I believe in this book. Why? I feel it has the potential to affect people in positive ways. When I was a professor, my greatest joy was knowing that I had the potential to engage students’ minds—to help them think critically about the world, both large and small. In that way, I felt that I was a valuable, contributing member of society. I lost that feeling of personal worth when I was forced to retire due to my health. This memoir is my way of feeling that, once again, I can make a positive difference in the lives of people, both near and far. Thank you for your comment Paulette, you are so right, Lorna is a very talented writer. No better way to get rid of your Monday than with a book like this!